Yesterday our students learned capoeira with Grupo Senzala so they already know some Capoeira basics. Mestre Toni, leader of this group explained the Capoeira history and basics to our students and after that they started practicing. Mestre Toni did the class with five of his disciples that helped him to do the training. Our students asked all the questions they had about this mix of martial art and dance. They got amazed about how many muscles were working on the class and how it was a good exercise to improve flexibility. 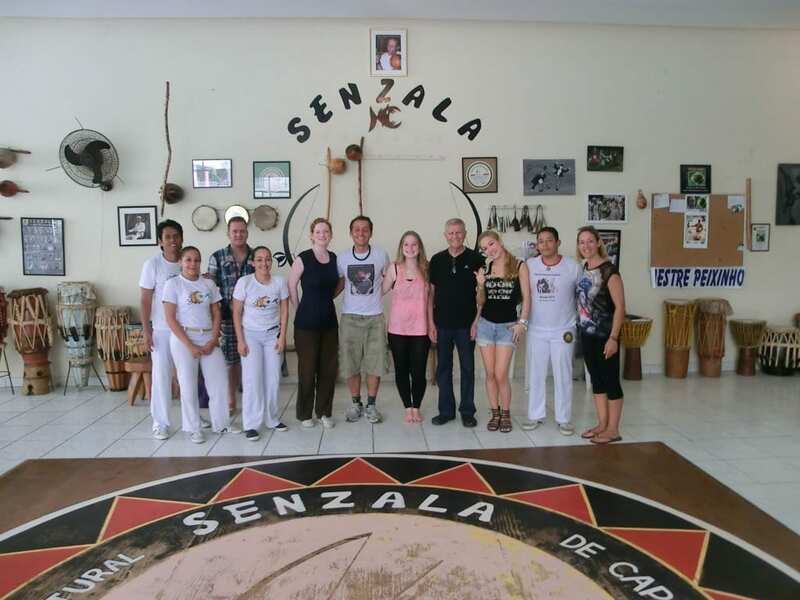 We had students from US, Japan, Perú, Greece, Switzerland and Holland and they were invited for a big capoeira’s celebration with Grupo Senzala.